Women's purple shoes at Zalando range from summer slip ons to purple suede winter boots. Choose feminine ballet pumps in your favourite mauve shade or show your rebellious spirit with biker boots in purple leather. There really is a shoe and a shade of purple to suit every mood. Create a feminine look with ladies' trainers in light purple in an array of eye-catching designs. Purple has long been recognised as a luxurious and versatile colour, so if you're looking to add a fresh hue to your wardrobe start with a pair of purple ladies' shoes. Confidence often begins with the shoes, so choose a confident colour like purple to enhance that feeling. If your outfit is showing signs of the blues, transform it with these women's purple shoes. Women's purple shoes add a dash of luxurious colour to your outfit. Women's purple shoes range from hot berry to cool violet and every shade of purple in between. Brighten up a dull, dark, outfit or just focus all attention on your feet. Complement a candy sweet colour palette or keep light coloured trousers grounded with purple shoes. 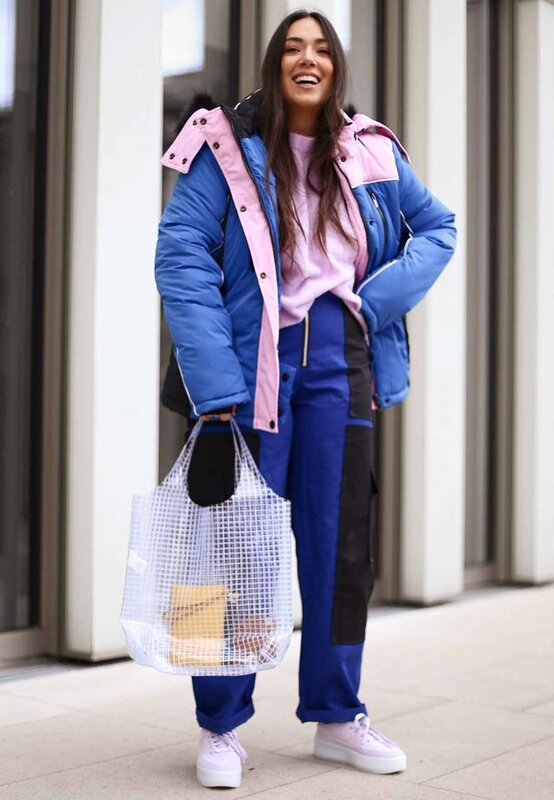 Go for a daring casual look with the latest in colour clash fashion, teaming purple ladies' boots with green or yellow socks and stretch leggings. Purple shoes for women are a fresh alternative to the usual black and look great with opaque black stockings. Wear purple heels and tights to jazz up a little black dress and express your own unique styling. Accessorise a plain shift dress in a contrast colour with purple handbag and shoes to create a polished look. Women's purple shoes are so versatile, they'll never be out of style.